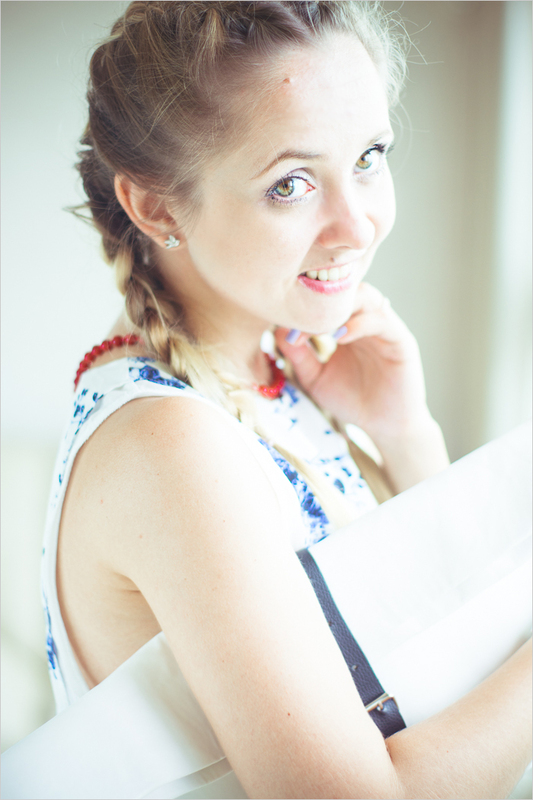 Ok, I admit, that I am kind of crazy about this summerish white clutch and I can't promise that you won't see it soon! Traditional Russian print called 'Gzhel' (from the name of the city) or porcelain print started to inspire designers long time ago and since this summer is all about prints, why not to try it on? As we all know, classic marine combo is white, blue and red so today I choose simplicity. Туфли? Сегодня это красные балетки, которые я просто не успела сфотографировать, т.к. села батарейка у моей камеры. Love your dress, the print is so pretty, you look terrific sweety. 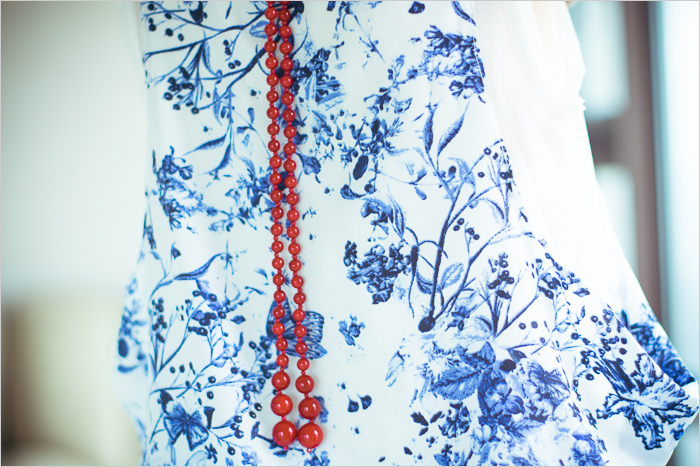 such a lovely dress, reminds me of delft blue ornament, the colors look good on you, nice to combine with red/coral which here is the necklace. Olga u look amazing as usual!! The white dress is lovely with its many blue accents. Your braided hair is as beautiful as your face and smile. Dazzling loveliness in this outfit. Просто здорово! Loving the "гжель."